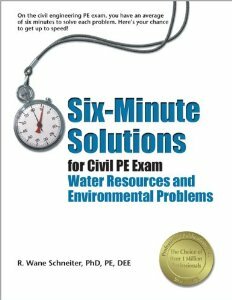 Six Minute Solutions – Water Resources: With an average of only six minutes to solve each problem on the civil PE exam, speed and accuracy are vital to your success—and nothing gets you up to speed like solving problems.Six-Minute Solutions prepares you to answer even the most difficult morning and afternoon water resources and environmental problems in just minutes. 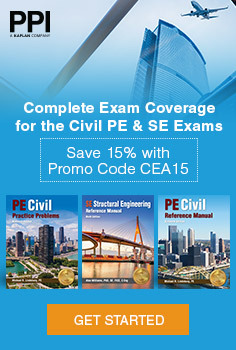 Learning important strategies to solve these problems quickly and efficiently is the key to passing the civil PE exam. 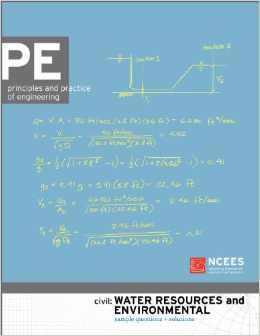 Water Resources Practice Problems: This book provides 111 multiple-choice water resource engineering problems to assist civil engineers in preparation for their professional licensing examination. 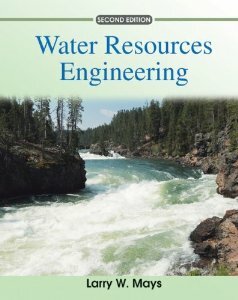 This book is ideal for those who are already familiar with the subject of water resources engineering and could benefit from more example problems. 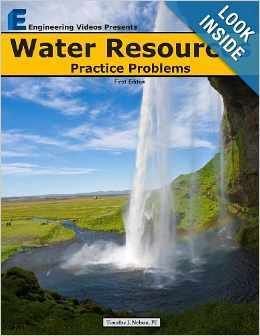 See a preview of this book by visiting: “www.waterresourcesbook.net”, then click the “Preview” link on the left sidebar. 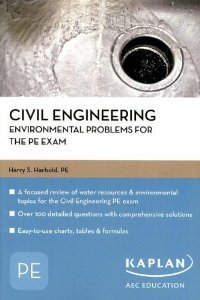 PE Civil: Water Resources and Environmental Sample Questions and Solutions: This book contains 40 questions from the Civil morning specifications and 40 questions from the Civil Water Resources and Environmental afternoon specifications. Solutions are provided. This will provide you with the most life like PE exam you can get. It is made the NCEES organization, the same one that administers the PE exams. 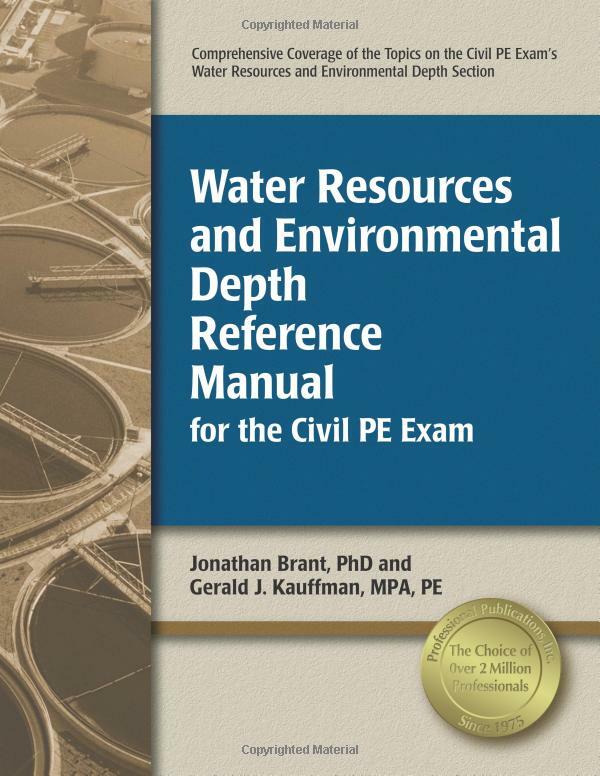 Water Resources and Environmental Depth Reference Manual: To pass the Civil PE exam’s water resources and environmental depth section, you’ll need to be familiar with the exam topics and how to use relevant equations. 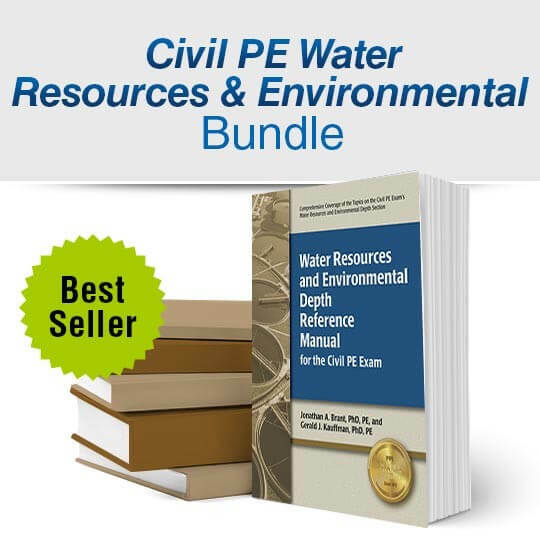 The Water Resources and Environmental Depth Reference Manual for the Civil PE Exam provides comprehensive coverage of the exam topics. Detailed tables, figures, and appendices make it possible to solve many exam problems using the Depth Reference Manual alone. Example problems demonstrate how concepts are applied, and end-of-chapter problems provide opportunity for independent practice. Water Resources Engineering: Environmental engineers continue to rely on the leading resource in the field on the principles and practice of water resources engineering. The second edition now provides them with the most up-to-date information along with a remarkable range and depth of coverage. Two new chapters have been added that explore water resources sustainability and water resources management for sustainability. New and updated graphics have also been integrated throughout the chapters to reinforce important concepts. Additional end-of-chapter questions have been added as well to build understanding. Environmental engineers will refer to this text throughout their careers. 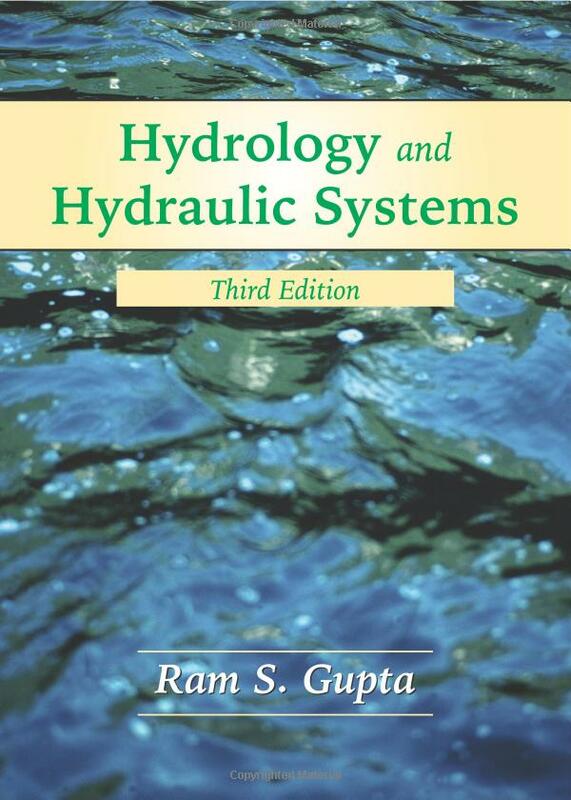 Hydrology and Hydraulic Systems: Comprehensive and up-to-date, this newly revised Third Edition extends the tradition of excellence established in earlier volumes. 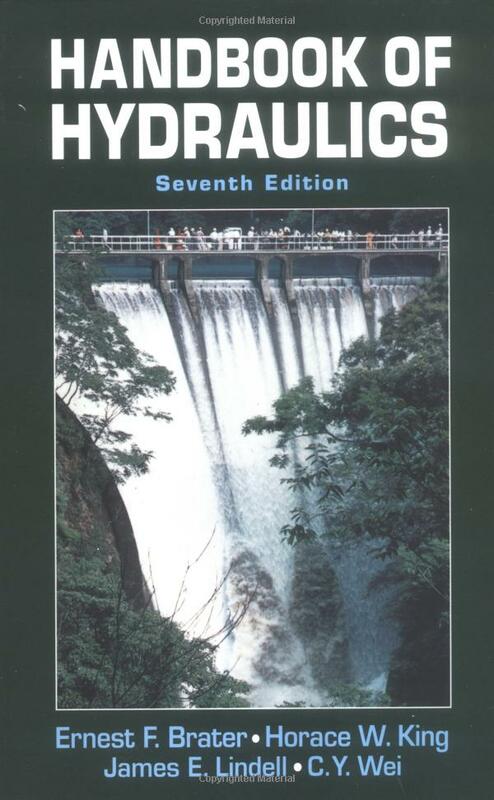 With its broad selection of subject material, abundant illustrations, and ample example problems, Hydrology and Hydraulic Systems offers students an outstanding, authoritative treatment of the quantitative elements involved in the development of water resources. Water Treatment: Principles and Design: The definitive guide to the theory and practice of water treatment engineering. 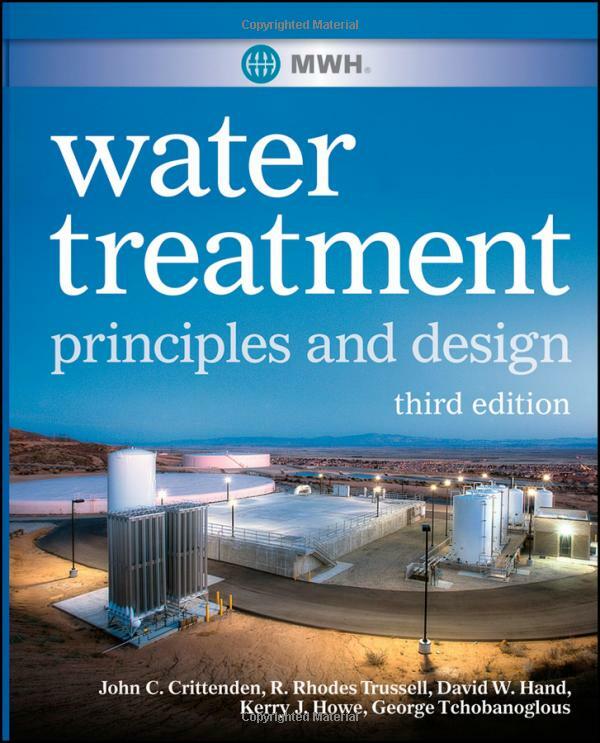 This newly revised edition of the classic reference provides complete, up-to-date coverage of both theory and practice of water treatment system design. The Third Edition brings the field up to date, addressing new regulatory requirements, ongoing environmental concerns, and the emergence of pharmacological agents and other new chemical constituents in water. Applied Hydrology: This text is designed for a hydrologist, civil, or agricultural engineer. 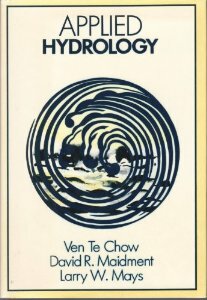 The text presents an integrated approach to hydrology, using the hydrologic/system or control volume as a mechnism for analyzing hydrologic problems. Water Supply and Pollution Control: Your one-stop answer guide to hydraulics engineering and design. Turn to Handbook of Hydraulics, Seventh Edition, for the tables, formulas, computer applications, and other resources you need to design and engineer virtually any hydraulic system. Bringing Ernest F. Brater and Horace W. King’s last edition into the 21st century, James E. Lindell and C.Y. Wei have revised and updated this unmatched advisor–coverting all constants to metric units–to give you powerful solutions governing: Viscosity, surface tension, and elasticity; fluid pressures and hydraulic forces; laminar, turbulent, steady, and unsteady flows; oscillatory, breaking, and wind-generated waves plus shore erosion control’ flow through orifice gates, tubes, weirs, and pipes; uniform and nonuniform flow in open channels; high-velocity transitions through straight-walled, enlargement, and curved-wall constrictions; unsteady open channel and spatially variable flow; flow measurement with meters, pilot tubes, venture flumes, and other devices; computer-based numerical methods; much more. Handbook of Hydraulics: Your one-stop answer guide to hydraulics engineering and design. Turn to Handbook of Hydraulics, Seventh Edition, for the tables, formulas, computer applications, and other resources you need to design and engineer virtually any hydraulic system. Bringing Ernest F. Brater and Horace W. King’s last edition into the 21st century, James E. Lindell and C.Y. Wei have revised and updated this unmatched advisor–coverting all constants to metric units–to give you powerful solutions governing: Viscosity, surface tension, and elasticity; fluid pressures and hydraulic forces; laminar, turbulent, steady, and unsteady flows; oscillatory, breaking, and wind-generated waves plus shore erosion control’ flow through orifice gates, tubes, weirs, and pipes; uniform and nonuniform flow in open channels; high-velocity transitions through straight-walled, enlargement, and curved-wall constrictions; unsteady open channel and spatially variable flow; flow measurement with meters, pilot tubes, venture flumes, and other devices; computer-based numerical methods; much more. 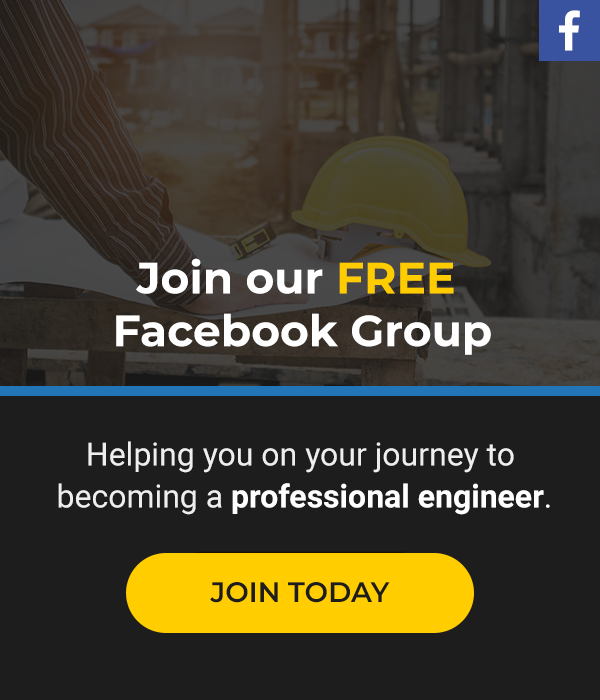 Civil Engineering Environmental Problems for the PE Exam: Civil Engineering Environmental Problems for the PE Exam is useful for both the water topics of the PE Environmental exam and the environmental engineering portion of the PE Civil exam, this guide covers the whole spectrum of sanitary engineering. By presenting only calculations and eliminating theoretical discussion, this guide allows you to hone your skills and understanding of both the fundamentals and more advanced topics. Introduction to Environmental Engineering Introduction to Environmental Engineering, 4/e contains the essential science and engineering principles needed for introductory courses and used as the basis for more advanced courses in environmental engineering. Updated with latest EPA regulations, Davis and Cornwell apply the concepts of sustainability and materials and energy balance as a means of understanding and solving environmental engineering issues. 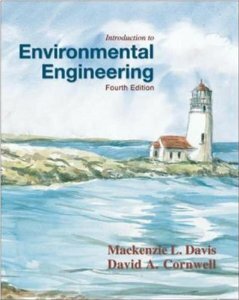 With 650 end-of-chapter problems, as well as provocative discussion questions, and a helpful list of review items found at the end of each chapter, the text is both a comprehensible and comprehensive tool for any environmental engineering course. This is virtually the same as the newer editions but at a much more affordable cost. 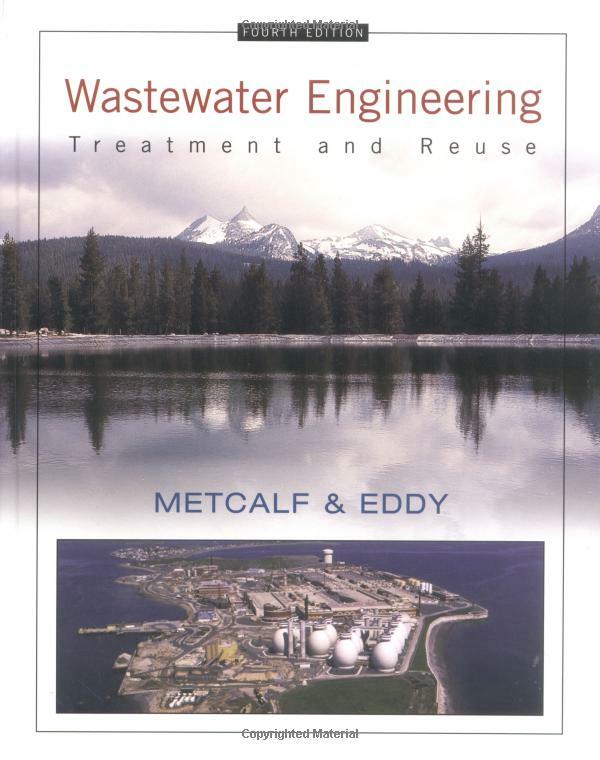 Introduction to Environmental Engineering: Wastewater Engineering: Treatment and Reuse is a thorough update of McGraw-Hill’s authoritative book on wastewater treatment. 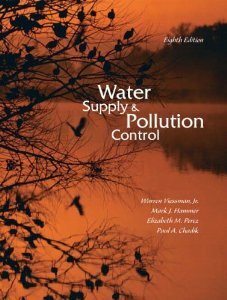 No environmental engineering professional or civil or and environmental engineering major should be without a copy of this book. It describes the technological and regulatory changes that have occurred over the last ten years in this discipline.